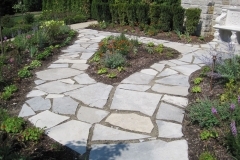 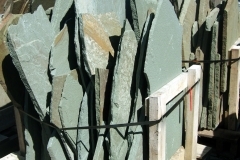 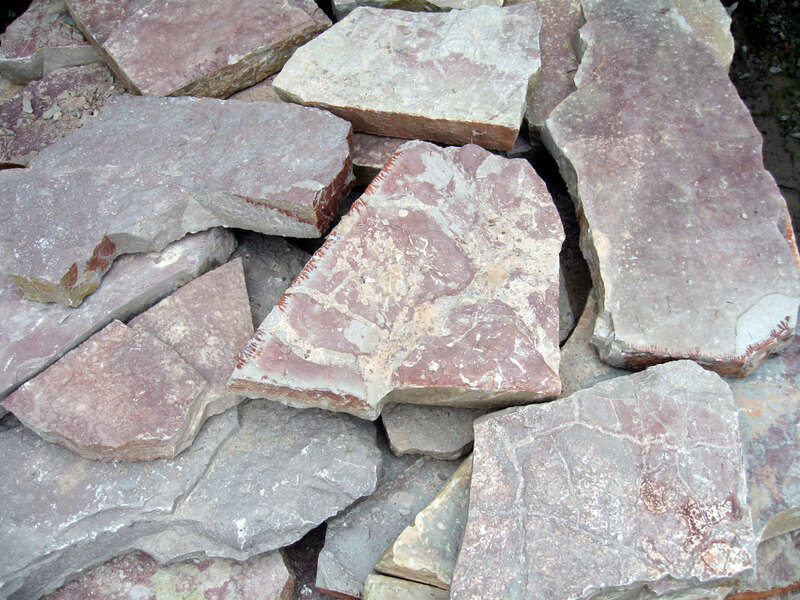 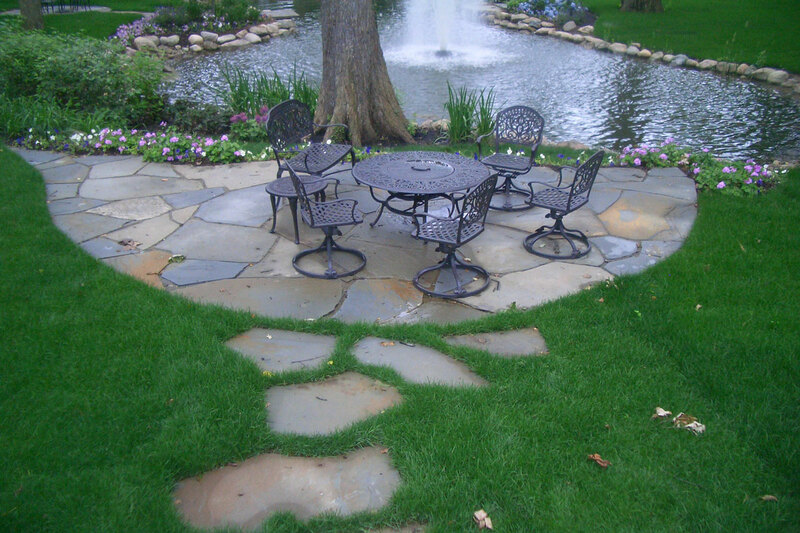 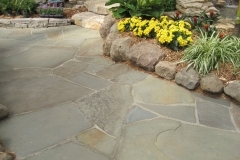 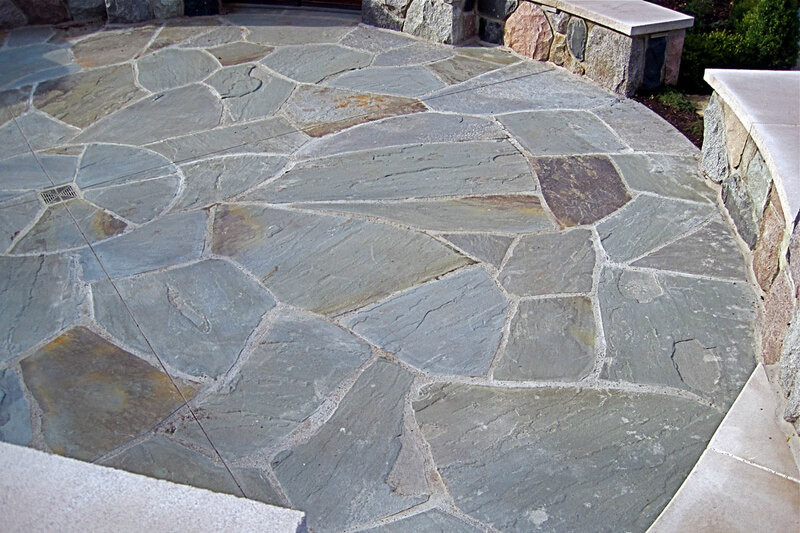 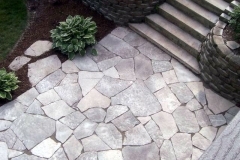 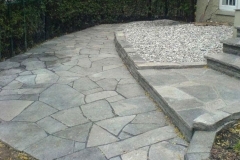 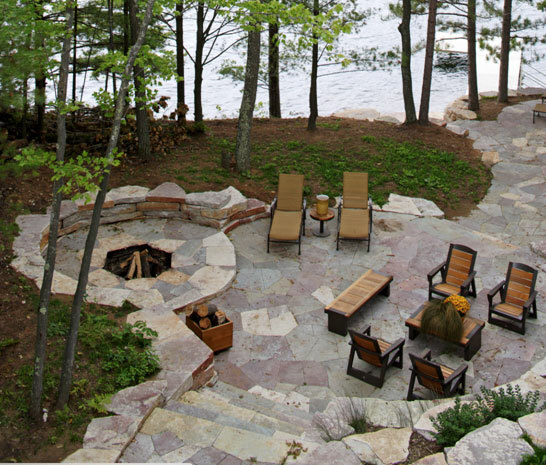 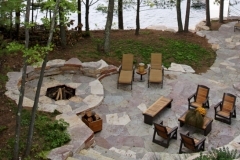 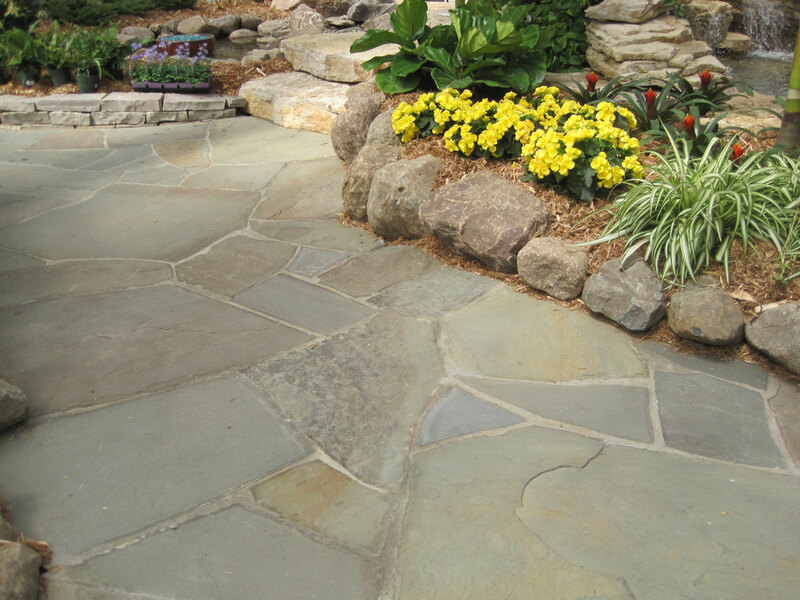 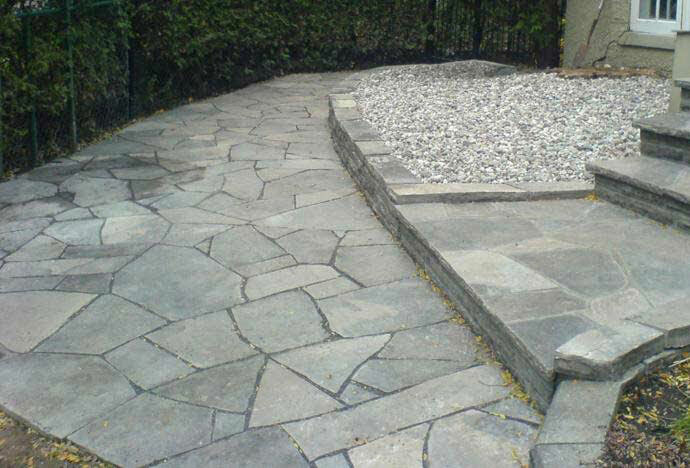 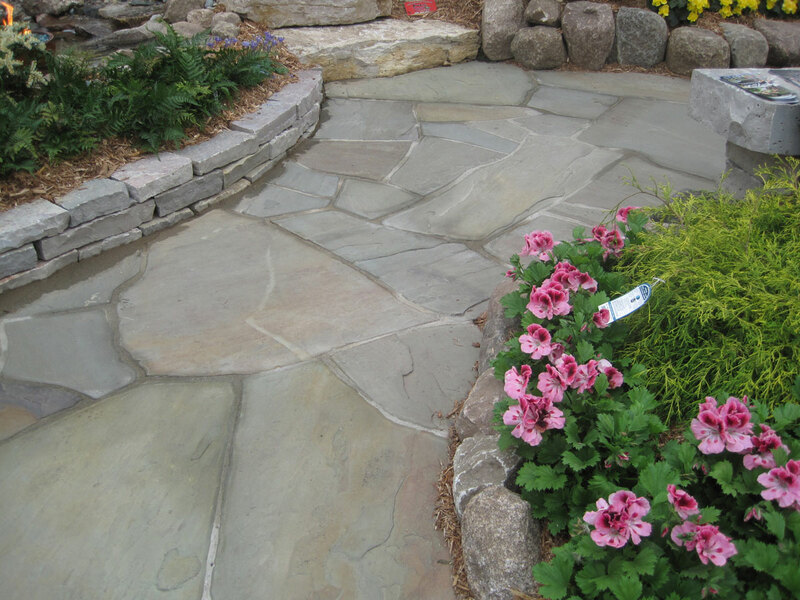 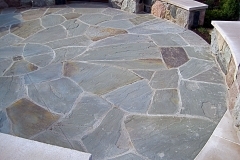 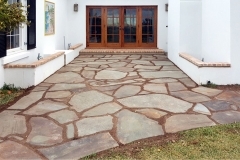 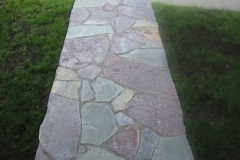 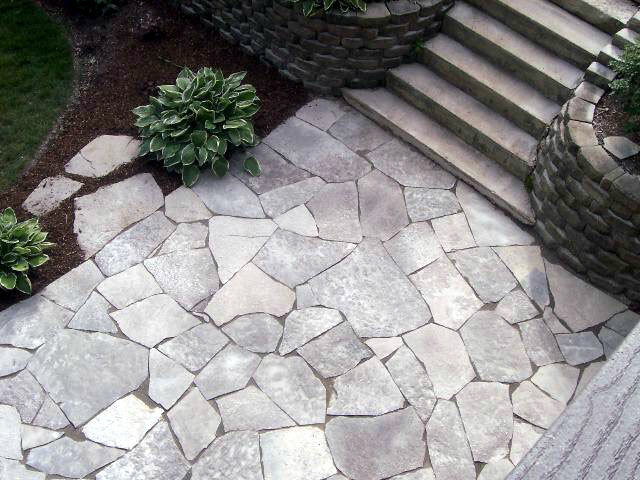 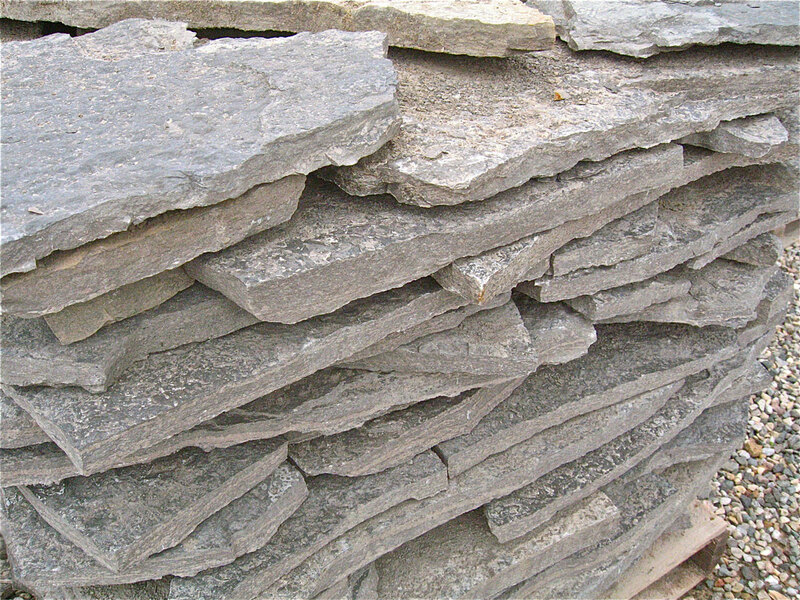 Natural Flagstone is irregular shaped stone most commonly used for walkways, patios and paths. 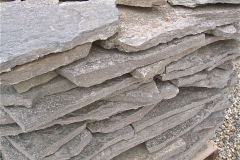 Other uses may be small garden walls, borders and ponds. 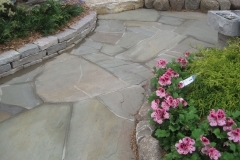 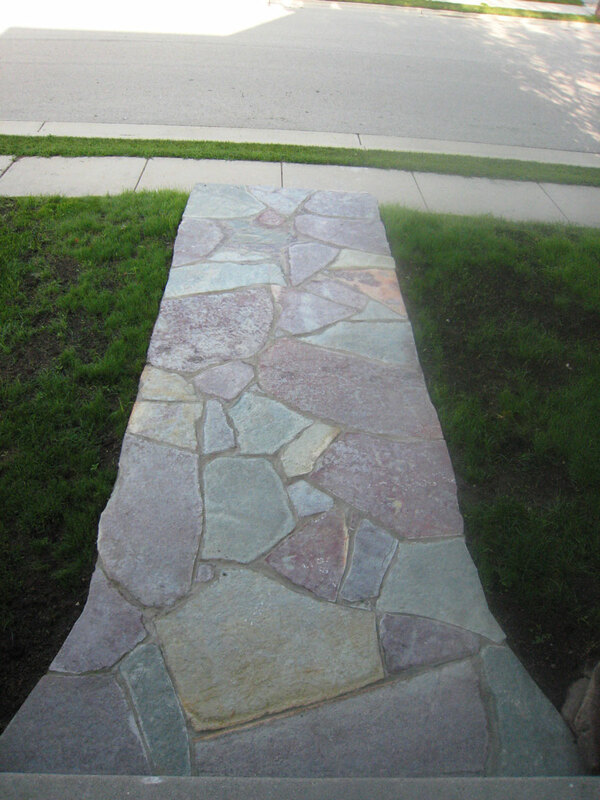 Our flagstones are mostly smooth and durable enough to with stand common foot traffic. 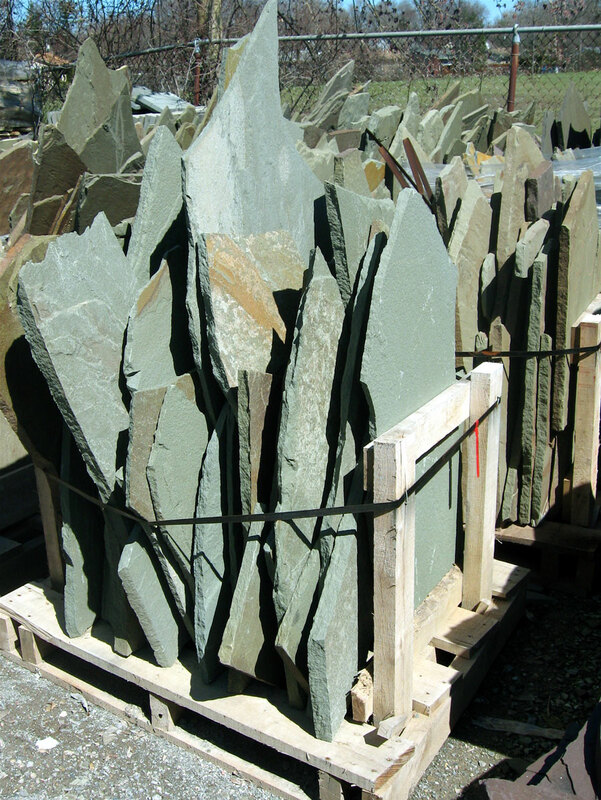 They come in a variety of shapes and colors and are sold by weight. 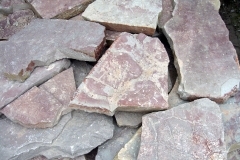 You can purchase it by the piece or the pallet. 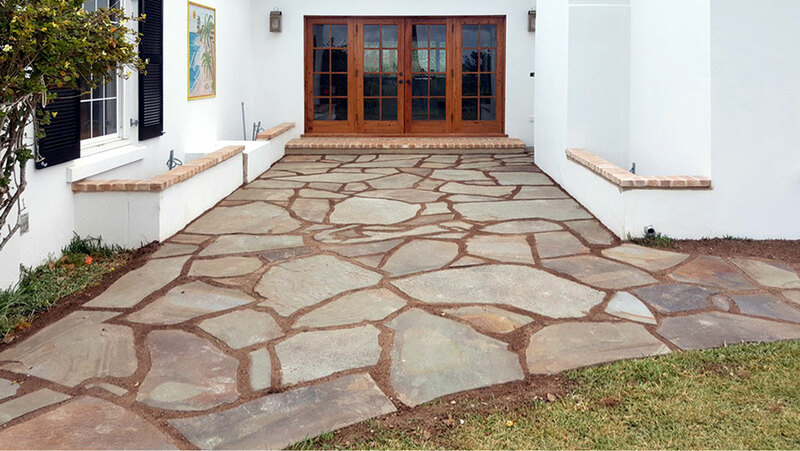 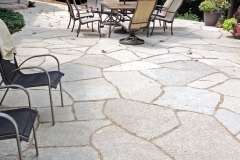 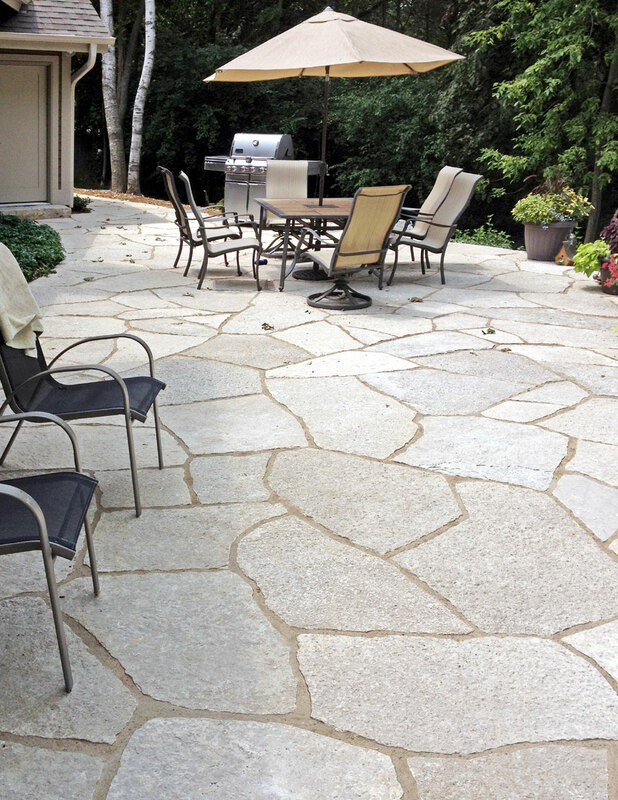 Flagstone coverage can range from 75 – 100 square feet per ton, depending on the thickness.